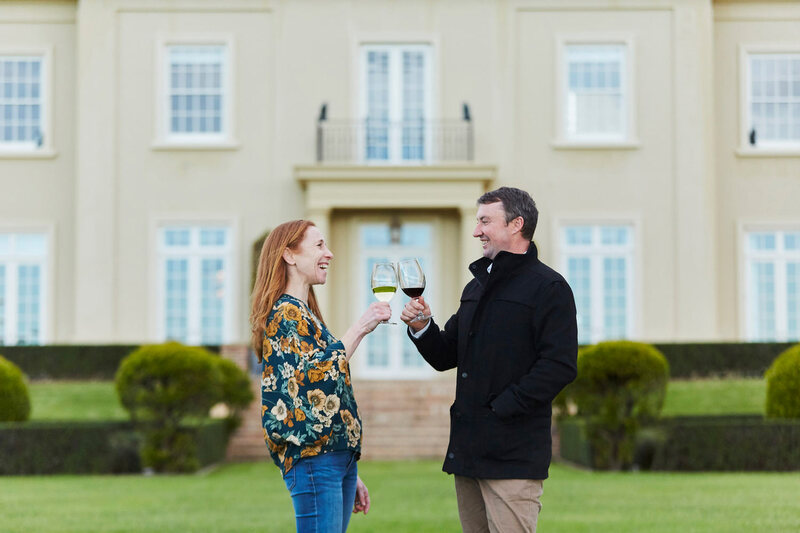 Wine club was designed with our loyal followers in mind; the people who rave about our Cabernet at dinner parties, those who started visiting years before our cellar door opened and still visit us today. We would also like to welcome our new customers, those who are discovering the incredible wines from our estate. We wanted to create something more personal than the usual wine club offerings, so we are organising some exciting events and experiences we think you will love. All wine club members receive 20% discount on current release wines and free delivery on cases within Australia. Your choice of fresh, vibrant, 'drink now' wines. 12 bottles of Fraser Gallop Estate wines, twice a year. Extra benefits include; Claret Ash Tour, Early bird access to the Barrel Hall Pop Up, 20% off current release wines and free delivery on any dozen. Extra benefits include; Magnum Tasting Member Event, invites to the Vertical Wine Tasting and Parterre Sundowner events, 20% off current release wines and free delivery on any dozen. Includes Estate and Parterre Club benefits plus; a birthday gift, helicopter access, invite to Member dinner at Gallop Hall and access to free wine storage. Extra benefits include; Claret Ash Tour, Early bird access to the Barrel Hall Pop Up, 20% off current release wines. How does the Fraser Gallop Estate Wine Club work? Choose the club you wish to join from the selections above. Complete the club billing information, your wine selections and enter your credit card into our secure payment gateway. You will receive a confirmation of your membership. Use your email address and set a password for your unique member login details. Two weeks prior to your next scheduled shipment we will send you an email reminder. You may change or reconfirm your wine selection via your member account. We will charge your nominated credit card and send out your wine with Australia Post, on the scheduled delivery dates. Contact us or log into your account at anytime throughout the year to purchase wines (outside of your scheduled deliveries), with your 20% discount and free shipping on dozens within Australia. When are the Payment/Dispatch dates? If the 15th falls on a weekend or public holiday we will process on the next business day. Can I skip a scheduled delivery? Yes you can choose to skip, delay or redirect your next shipment. We will contact you at the beginning of each shipment month, you can reply to us then advising that you wish to skip or delay that particular month's delivery. So you may enjoy the great benefits of being a wine club member, we ask for a minimum commitment of one year. After that time, we politely request a week's notice prior to payment date. Email us at wineclub@fgewines.com.au. If you have any further questions don't hesitate to contact us, either phone our Cellar Door on 08 9755 7553 or email wineclub@fgewines.com.au. JOIN US AND RECEIVE UP TO FOUR WINE DELIVERIES PER YEAR AND ENJOY EXCLUSIVE ACCESS TO SOME EXCITING WINE EVENTS.